I consider myself a full-fledged waffle nut. I will not be able to go through a week without having at least one breakfast day where I fill myself up with piles of these toasted, syrupy treats. If it weren’t for the risk of acquiring diabetes one day, I would actually have them every single morning of the week. That being said, I thought I knew everything about waffles. After all, I am able to whip up a batch of four in under ten minutes, so what else is there to know, right? As it turns out, a whole lot. For starters, there is a distinction between a normal waffle and a Belgian waffle, which I only found out recently. And apparently, there are several ways to achieve that perfect, golden brown goodness, which we will also be discussing in this article. I’m here to pass on my newly-acquired knowledge about everything waffle-related, along with my favorite go-to Belgian waffle recipe. If this interests you as well, read on through, and perhaps take in some tidbits you can use yourself. 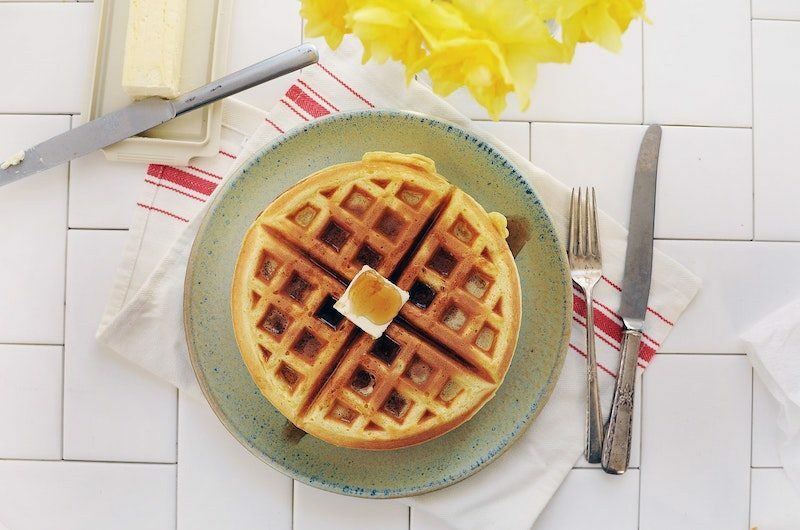 Before we dive into my recipe, let’s first discuss the difference between the American style waffles most people are accustomed to and the famous Belgian waffle. The answer lies mainly on the pockets. 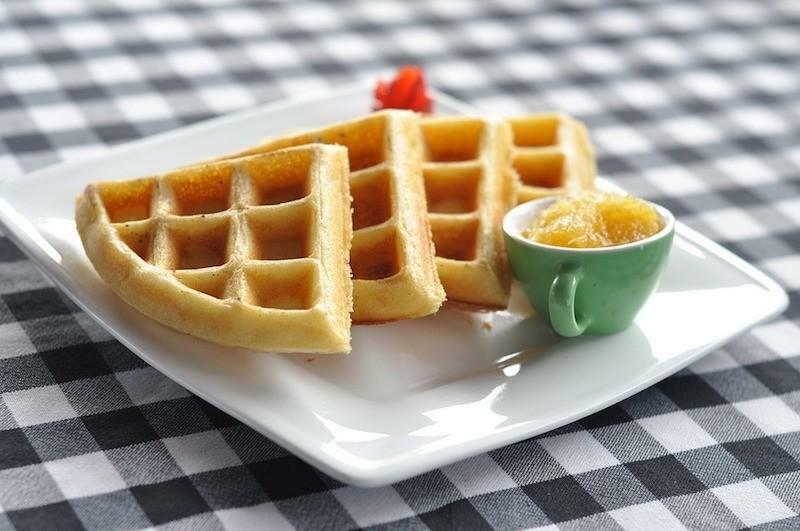 Belgian waffles have deeper pockets to allow the collection of pools of syrup, butter and other toppings. That essentially means you will get to taste that sweet maple goodness in every bite, which is always a good situation to have. And because yeast is commonly used as a leavening agent compared to baking powder, these waffles also lighter and have more air inside. Other than that, there is really no huge disparity between the two. Pretty anti-climactic, huh? But whatever kind you prefer to go for, a waffle’s a waffle, and it will taste good (if you do it right). 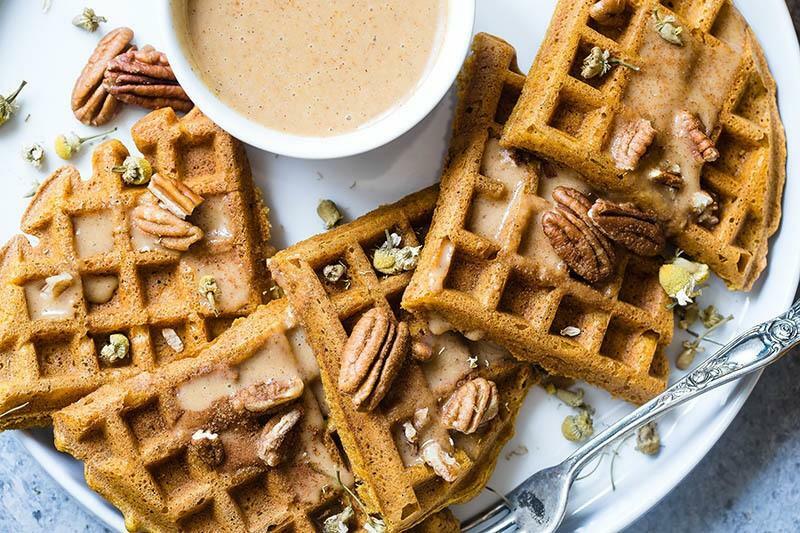 Waffles aren’t really the go-to health food option, and we all know that by default. So even before getting to this section, you likely already know what you’re getting into, in terms of the number of calories you’re potentially taking in. But just the same, let’s break it down a little further. Depending on how they were made, a serving of waffle (which is equivalent to one piece) plays around the range of a little over 500 calories. These are the ones made in restaurants like IHOP, where the flavor is the main priority. The ready-made waffle mix bears a lower overall calorie count of 270. The difference here is that unlike restaurant waffles, these do not contain any saturated fat (or at least as indicated on the nutrition facts box). It is also worth noting that these numbers do not include the syrup yet. Add that into the ready-made waffle batch, and you get over 600 calories, which really adds up a lot. These numbers may vary, but the one consistent commonality between all three aforementioned is the high amount of sodium present. On average, these waffle mixes contain around 700 to 900 mg of sodium. That means that one serving of waffles alone already comprises more than a quarter of the required 2,300 mg of sodium per day, which is equivalent to a full teaspoon of salt. So what did we learn here? Waffles are so bad, yet so good at the same time. But like how it is dealing with every indulgence known to man, everything in moderation. It definitely won’t hurt having a plateful of waffles from time to time, especially during cheat meal days. After discussing a little bit of the health side of things, we now move on to the fun part. Every one will lay claim to having the “best” waffle recipe, and that only makes for a neverending argument. So to avoid any of that conflict, I will share to you the best waffle recipe that I know, and at least according to my own taste buds. Feel free to debate me on this, but I also suggest you give this a try. Preheat your waffle maker. This is the first and foremost step of this entire process, which also applies using a grill pan. No need to do this if you choose to utilize a waffle cake pan. As for how long it would take, that would depend on the particular brand you are using. As the machine preheats, you can now combine all dry ingredients in one bowl, and all the wet ones in another. You will have to put more attention on the wet ingredient bowls by lightly beating the egg yolks. Some would separate them from the whites, but that is optional. Add in the milk, vanilla, and butter in the egg mix and stir. Once that’s nicely mixed up, add them to your dry ingredients and continue until it turns into the homogenized batter you want to achieve. I am assuming that your waffle maker’s iron grids are already made from a non-stick coating. But you also have the option to grease them slightly with some butter or baking spray. Just remember not to use too much. Pour your batter into the preheated waffle maker. As for the length of cooking time, this will also depend on the brand you are using and the manufacturer’s instructions. But on average, one batch of four Belgian waffles take 5-7 minutes to complete. If the machine is equipped with browning knobs, make the adjustments accordingly. Open up the lid of your waffle maker and take a good look at the final product. Depending on your preference, it should come out as a crispy, golden brown waffle with those deep pockets. Plate those waffles and add in your preferred fruit toppings. I prefer strawberry and banana slices, along with a few pieces of blueberries. And instead of maple syrup, I prefer some peanut butter and chocolate sauce, just to give a different yet delicious flavor to it. Dig in and enjoy those extra 500 calories you just consumed. Just a few additional tips: You can also incorporate some embellishments onto your batter to make yourself an infused waffle batch. You can go for chocolate chips, raisins, or even savory ingredients like cheese, ham, and spinach. As for the amount of batter to use, it will depend on the brand you are using. With mine, it requires to fill up the machine with up to ¾ of batter before it begins to spill over to the sides. Take note of this as well to avoid any spillage and the unwanted hassle of cleaning up. 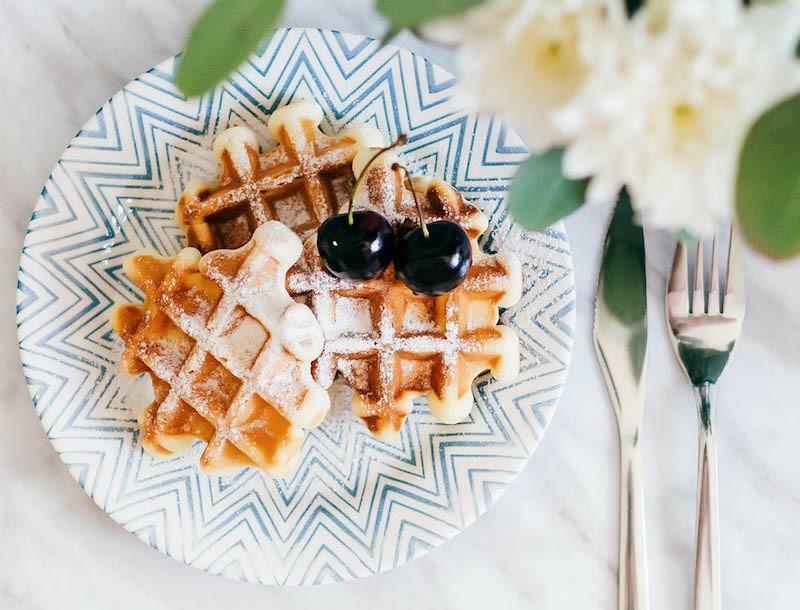 A good friend once told me that “life is short, so might as well live a little.” It’s a message that’s resonated to me to this day, and it’s something that immediately comes to mind whenever I feast on a freshly-cooked batch of Belgian waffles. I’ve laid out the Nutrition Facts and figures for your reference, and make sure not to go off the rails. It would be nice to get to enjoy this sweet treat from time to time, instead of having a doctor forbid you because your insulin levels are not on advisable levels. “Everything in moderation” should be practiced, and I cannot stress that enough. As for the “best” waffle recipe, go ahead and experiment yourself. But the truth is, there’s no real benchmark for which one is better since we all have different preferences for flavor. 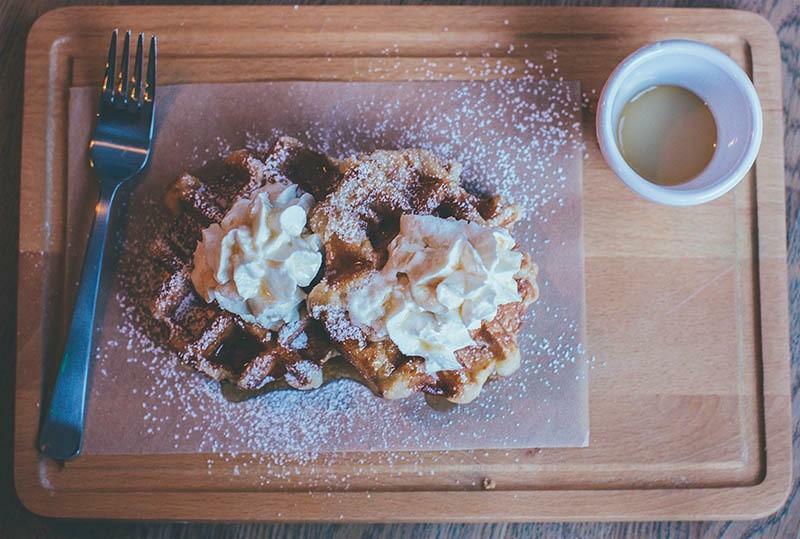 Now, go ahead and whip yourself up a nice plate of Belgian waffles. Better yet, make an entire batch for your entire household and let everyone enjoy a hearty serving.